Hal West is a lifelong resident of the Lowcountry of South Carolina. He graduated from Berkeley High School in Moncks Corner in 1969 and from the University of South Carolina in 1973. In 1974, Hal and his wife, Elliott, moved to Fort Worth, TX, where Hal attended Southwestern Baptist Theological Seminary. After graduation in 1978, Hal and Elliott moved back to Moncks Corner, where Hal began serving as Mission Pastor of the Pimlico-Oakley Baptist Mission and a few months later the Sangaree Baptist Mission. 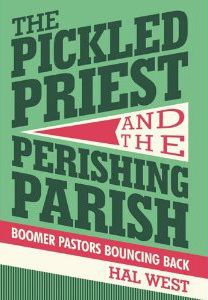 He was the founding pastor of Berkeley Baptist Church (formerly the Pimlico-Oakley Mission) from 1981 to 1986, when he was called to serve as Associate Pastor of the First Baptist Church of Moncks Corner, his home church. In 1990, the church called him as Senior Pastor. Hal received his Doctor of Ministry degree from Fuller Theological Seminary in 1987. After thirty-three years of pastoral ministry in the local church, Hal recently founded Compass Coach and Consulting. The mission of this new ministry is to assist pastors and churches find the road to success. Success is defined as making, maturing, and multiplying disciples of Jesus Christ. Hal is a certified church consultant with the Society for Church Consulting and a certified pastoral coach through the SC Baptist Convention. Hal and Elliott, a retired public school teacher and award-winning artist (ElliottWestArt.com) have been married for over 40 years and have three children. Philip, their first child, died in 1985 after a long illness. Laura and her husband, Joe, live in Gloucester, MA, and have a daughter, Isabella. Brian and his wife, Brittney, live in Pinopolis, SC and have a new son, Davis..
Hal is currently serving as Transitional Pastor at Fort Johnson Baptist Church in James Island, SC while Elliott remains actively involved in Freedom Church, a new church plant in the Moncks Corner, SC area.